Pole Stanchions - Sauber Mfg. 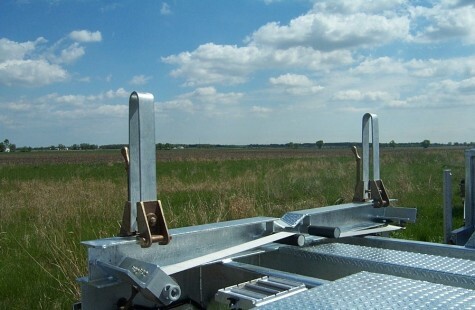 Co.
Our bronze and galvanized stanchions for Pole Trailers provide a convenient way to position poles. Each is equipped with an over-center, variable tension, cam lock assembly. Because they are completely non-rusting, they won’t seize to the bolsters like old-fashioned stanchions can.